*If you click one of my links and make a purchase I may receive a commission. Sometimes I'm just cleaned out of ideas for what to feed my little kids for breakfast. 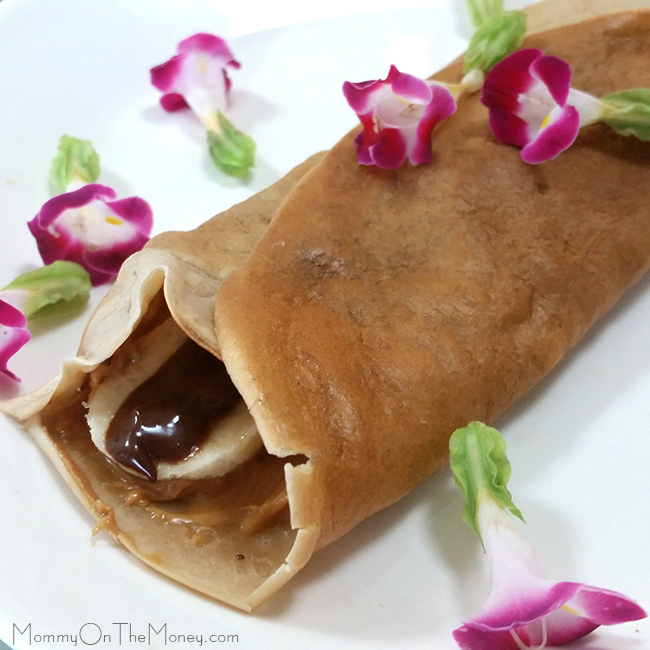 We have things like pancakes, waffles, nice cream, and oatmeal that are heavy in the rotation but to keep boredom from setting in, I experimented with a few vegan crepes recipes and this was the one that worked the best. My kids and I loved it and it was a fun breakfast and makes a great dessert or snack too. It is only 3 ingredients and it is super easy to make. First you put all 3 ingredients in your blender and blend until silky smooth. We use a Vitamix. Heat a non-stick pan on low. Then remove your pan from heat and pour a scoop of your batter onto the center of the pan quickly tilting your pan in a circular motion until all the batter spreads out in a thin and even layer. Place back on heat. You can quickly use a spoon to make sure your crepe is thin and even. Once the crepe is cooked on one side and lifts easily from the pan, flip it and cook on the other side. Then, you can fill and top with whatever you like! 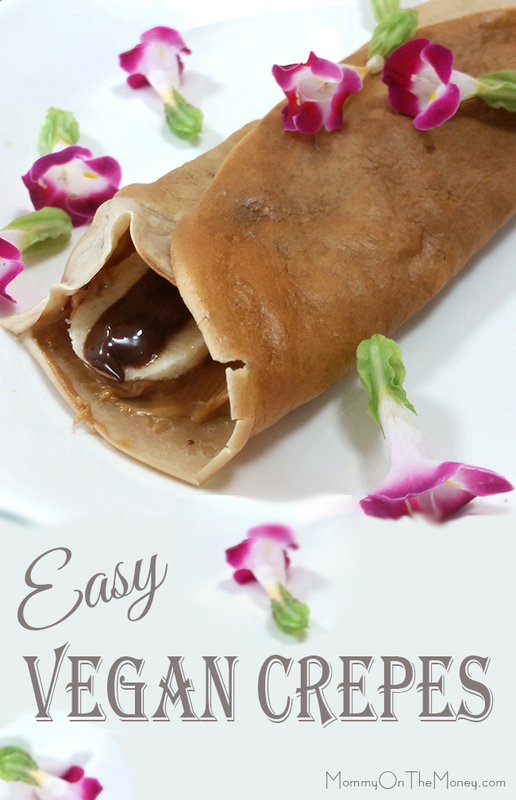 We used some peanut butter, long slices of banana and some melted chocolate inside our crepes and it was delish!